Hey Boston area friends! 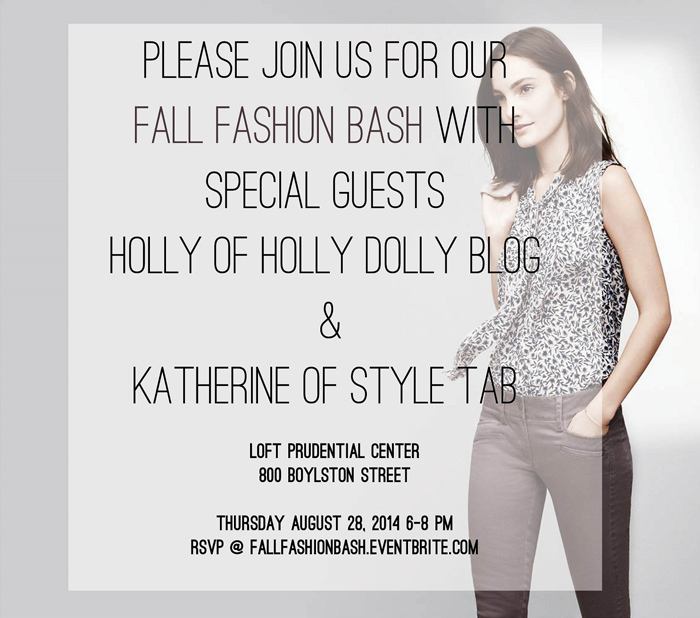 Join me and Katherine on Thursday, August 28th for some fall fashion fun. You can find us at my store, Loft at Prudential Center (Elissa will be there, too!). Not only will you get to check out all of Loft’s new fall arrivals, but there will also be treats, drinks, giveaways, and polish updates with MiniLuxe! Please RSVP here, and we hope to see you there!